African American Family History Day | Thomas Jefferson's Poplar Forest | Happenings | Style Weekly - Richmond, VA local news, arts, and events. Discover your African American roots. 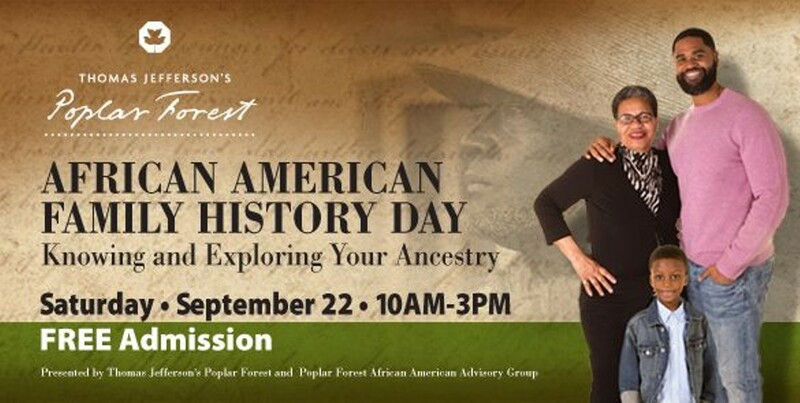 Join the Poplar Forest African American Advisory Group for an interactive experience designed to help you explore your family’s African American history. Hear stories about exploring ancestry and learn about research methods, tools, ideas and strategies for tracing the lineage of your enslaved ancestors. Admission to African American Family History Day is free, however reservations are required as space is limited to 60 participants.